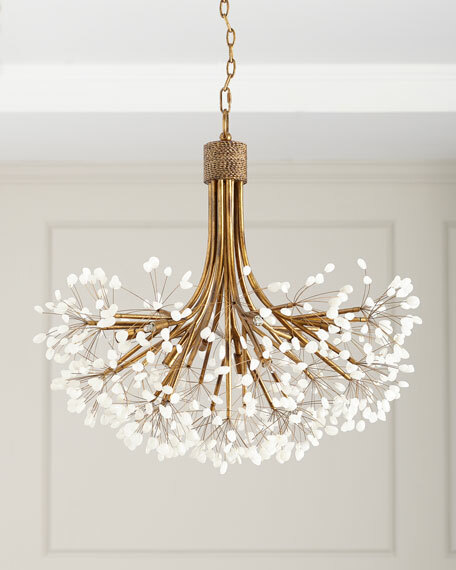 Luminous nine-light chandelier with an explosion of quartz crystals finished in gold leaf. Handcrafted chandelier with quartz crystal details. Iron frame finished in gold leaf. Uses nine halogen type-G 25-watt bulbs (included). Overall: 28.5"W x 29.5"D x 28"T.
Weight, 32 lbs. Boxed weight, approximately 40 lbs.